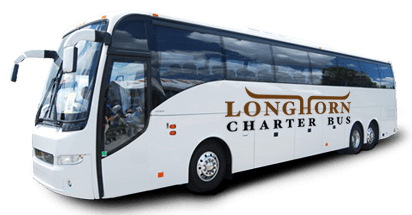 If you’re planning to travel around Dallas for a fun weekend with your ladies, look no further than Longhorn Charter Bus for all your transportation needs. We service cities all around Texas and specialize in group transportation. No matter where the weekend takes your group in Dallas, we’ll make sure you have easy and smooth travels in a private charter bus. Enjoy an unforgettable time with friends and experience the restaurants, arts, and culture of the Big D with Longhorn Charter Bus. We’re here to assist you at any time in planning the travels for your ladies weekend. Just give us a call at 214-206-8432 to speak with a rental expert about your travel needs. As a part of one of the largest metropolitan areas in the United States, Dallas is home to an endless number of things to do. 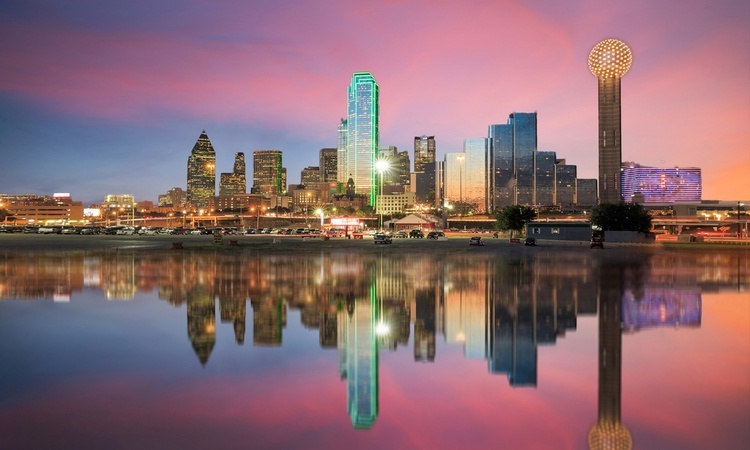 Whatever your group is interested in, Dallas has something for everyone, Many travelers often find themselves traveling between Dallas and Fort Worth during trips. Large groups traveling together may have an issue coordinating public transportation or rideshare apps to get between different Dallas attractions or hopping over to Fort Worth. Charter bus rentals allow large travel groups more freedom during all types of trips, including private group vacations, business conference, and school trips. Groups looking to explore some of Dallas’s top attractions can use this sample itinerary as a guide for a fun weekend in the city. 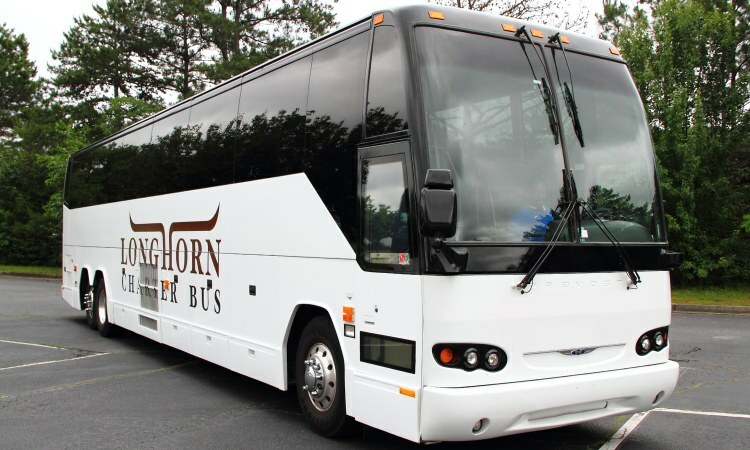 Longhorn Charter Bus has transportation options for all types of groups. Our services span across most major cities in Texas, including Austin, Houston, San Antonio, and more. No matter where you’re traveling from in the Lonestar State, we’ll be sure everyone is safely transported to and around Dallas. Whether your ladies weekend is a small event just for the fun of it or a huge bachelorette bash, we’ll be more than happy to organize travel accommodations. The fleet of buses we charter vary in size and can accommodate all groups. Minibuses can hold 18 to 25 passengers and are perfect for small, intimate groups looking to enjoy a weekend getaway in Dallas. Large groups looking for plenty of space and additional amenities may be best suited by a full-sized motorcoach. If you’re not sure which type of bus is best suited for your group, give us a call at 214-206-8432 to chat with one of our representatives. Start the morning or early afternoon with a relaxing group spa treatment at Vis a Vis Day Spa in Uptown Dallas. It's the perfect way to start a weekend full of fun, especially if your group traveled into town the previous night. Your private bus driver can shuttle everyone around town to and from each location. After hitting the spa for a group spa party, head over to the Dallas Arboretum and Botanical Garden. The arboretum hosts events nearly every day of the week, ranging from food and tea tastings (yes, champagne is also an option) to concerts. Even if your group doesn’t necessarily want to participate in an event, touring the arboretum and the gardens is still a great group experience. Once everyone is done at the botanical garden, hop back on your charter bus to visit the Dallas Museum of Art. The museum has an extensive collection of works, meaning there’s something for everyone to enjoy. If your group isn’t too keen on museum visits, take a walk over to Klyde Warren Park across the street. Make a reservation at Fearing’s for famous dinner and cocktails before enjoying a night of dancing at The Nines. With a built-in designated driver in your own charter bus, your group can enjoy Fearing’s Rattlesnake Bar and The Nines to the fullest. Offering various services from different massages to float therapy, Vis-à-Vis is a one-stop shop for all relaxation needs. This 66-acre arboretum is home to several gardens and hosts educational, arts, entertainment and cultural events throughout the year. The Dallas Museum of Art is one of the largest art museums in the nation with more than 24,000 works spanning across different eras and countries of origin. Located in the Ritz-Carlton, the restaurant boasts Southwestern fare and an extensive drink menu from famed chef Dan Fearing. This popular nightclub spans over 3,000 square feet and is located in Dallas’s hip arts and entertainment neighborhood, Deep Ellum. Start the morning with brunch at Bread Winners Cafe and Bakery in Uptown. Have some delicious food and mimosas before riding your charter bus over to the Dallas Farmers Market in downtown. The market hosts several local vendors and events in the community. Depending on the day your group visits, you can catch different events like yoga classes and cooking demos. After browsing and experiencing the market, head over to northern Dallas to visit Galleria Dallas. The massive shopping mall is home to upscale shops and an indoor ice skating rink. Do a little shopping with your friends and hit the ice for an entertaining time. If you’re still on a shopping kick and want a real Dallas experience, hit Wild Bill’s Western Store for a pair of authentic cowboy boots. After everyone is all shopped out, your charter bus driver can take everyone back to the hotel for a breather before dinner, drinks, and dessert. Make reservations at rise n°1 for delicious savory and sweet souffles, then round the night out at Parliament. With multiple locations across Dallas and other cities in Texas, Bread Winners has become a local staple for breakfast and brunch. 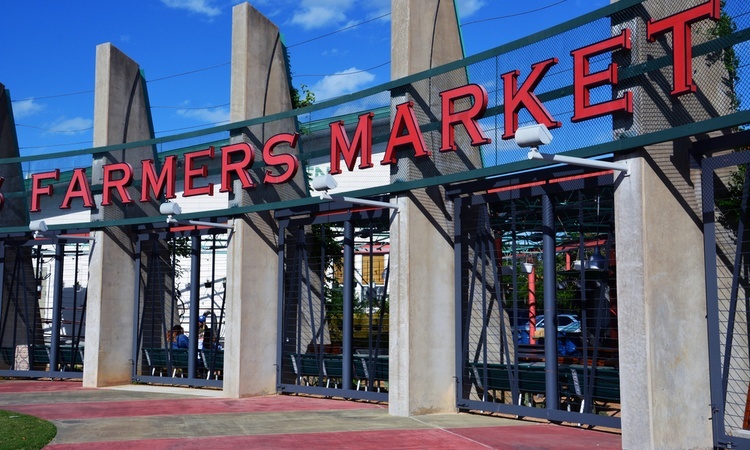 Established in the 1940s, the Dallas Farmers Market is a large local space for events and vendors. With over 200 stores, there are few places you can shop till you drop and then also go ice skating under the same roof. This French-inspired restaurant is famous for its various types of dinner and dessert soufflés. Parliament has over 100 craft cocktails on its roster and offers happy hour daily and whenever it rains. Longhorn Charter Bus is here to make your weekend transportation around Dallas as easy as possible. You and your group of friends can travel in style and comfort around Dallas in your own private minibus or full-sized motorcoach. We’ve specialized in transportation for all types of trips and handled bus rentals for groups of all sizes. Don’t worry about having to rush or scramble to find taxis or Ubers to fit your whole group. Explore Texas on your own time with Longhorn Charter Bus. We’re here 24/7 at 214-206-8432 to help you find the best charter bus rental for your weekend in Dallas.